How can you type the symbols that generally aren't visible on keyboard? 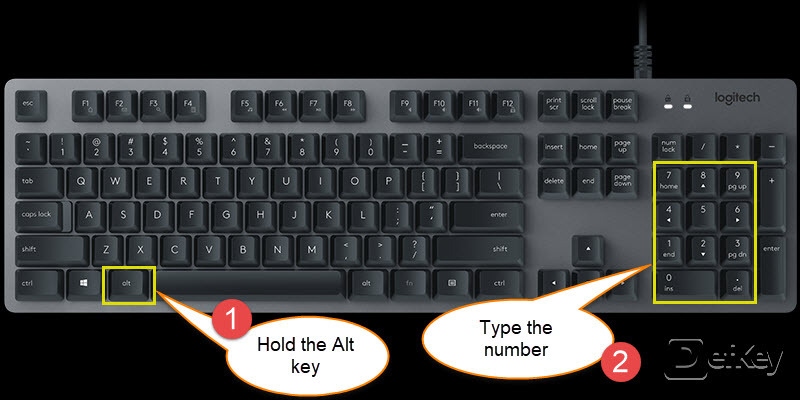 A simple way is holding the Alt key and typing the number for the symbol. You'll find these Alt shortcuts below. Note: On Windows, you can always use Character Map tool to type various symbols and letters you can't find here..
First, ensure Num Lock is pressed on your keyboard. To type these symbols, hold Alt key, then type the number with numpad. The character will appear after you release Alt key. For typing special letters in popular languages, you may refer to this list. For more symbols, take a look at this web site. What is your favorite Keyboard symbols hotkey? Do you have any useful tips for program? Let other users know below.